Publicis Media, thanks to big gains by its platform GSK and Spark Foundry units, was the most successful agency holding company media services unit in 2018, according to an annual analysis conducted by RECMA. The net gains by those units more than offset losses by Publicis' Starcom, Zenith, and Blue 449 units. 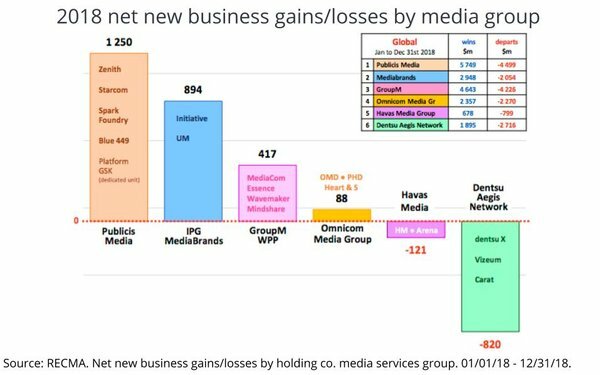 Due to largely incremental gains by its Initiative and UM units, IPG Mediabrands was the next best-performing holding company media division, followed by WPP's GroupM and Omnicom Media Group. 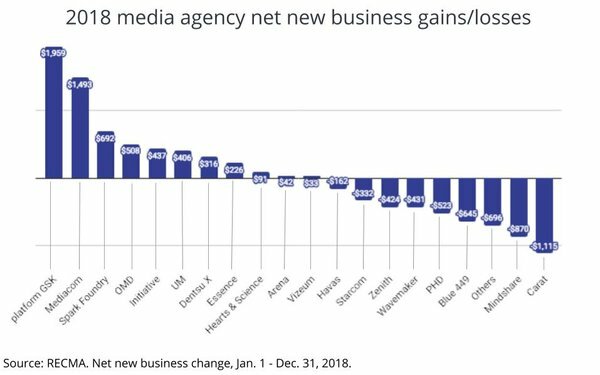 Both Havas Media and Dentsu Aegis Network had net new business losses in 2018.